Southampton is noted for its association with the RMS Titanic. Its port was the point of departure for the Pilgrim Fathers aboard Mayflower in 1620. The annual Southampton Boat Show, held in September each year, is the climax of Sea City, which runs from April to September each year to celebrate Southampton's links with the sea. But, before you go there, don't forget to install the Southampton Amenities Map on your smartphone. 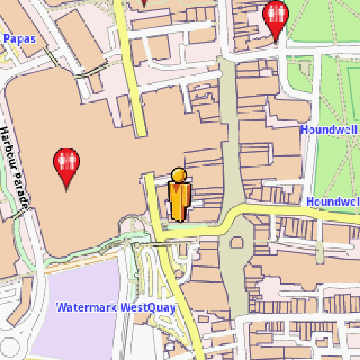 Get the free or the full version of the Southampton Amenities Map App at the Google Play Store. Many of the sights in Bremen are found in the Altstadt (Old Town), an oval area surrounded by the Weser River, on the southwest, and the Wallgraben, the former moats of the medieval city walls, on the northeast. But, before you go there, don't forget to install the Bremen Amenities Map on your smartphone. 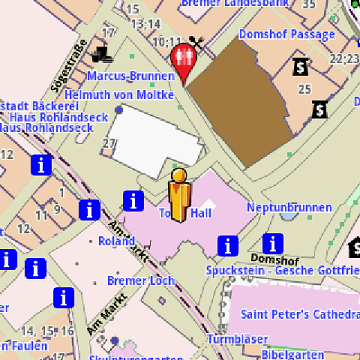 Get the free or the full version of the Bremen Amenities Map App at the Google Play Store. Birmingham is home to many national, religious and spiritual festivals including Europe's second largest, after Dublin, St. Patrick's Day parade. Sutton Park, which covers 2,400 acres (971 ha) in the north of the city, is the largest urban park in Europe and a National Nature Reserve. But, before you go there, don't forget to install the Birmingham Amenities Map on your smartphone. 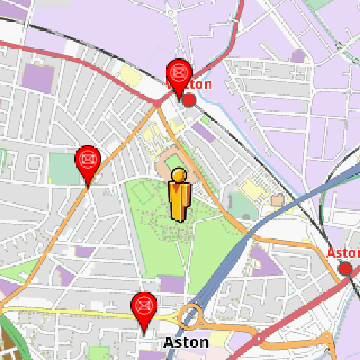 Get the free or the full version of the Birmingham Amenities Map App at the Google Play Store. Bordeaux is the world's major wine industry capital and it is home to the world's main wine fair. The city has one of Europe's biggest 18th-century architectural urban areas, thus making it a sought-after destination for tourists and cinema production crews. 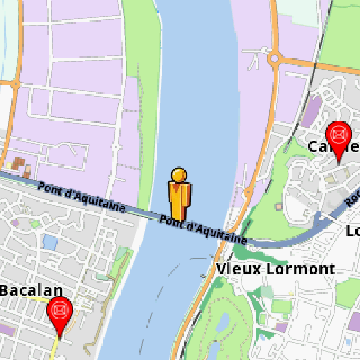 But, before you go there, don't forget to install the Bordeaux Amenities Map on your smartphone. Get the free or the full version of the Bordeaux Amenities Map App at the Google Play Store. Hanover is a major centre in Northern Germany and hosts annual commercial trade fairs such as the Hanover Fair and the CeBIT. The Hanover fairground is the largest in the world. But, before you go there, don't forget to install the Hanover Amenities Map on your smartphone. Get the free or the full version of the Hanover Amenities Map App at the Google Play Store.